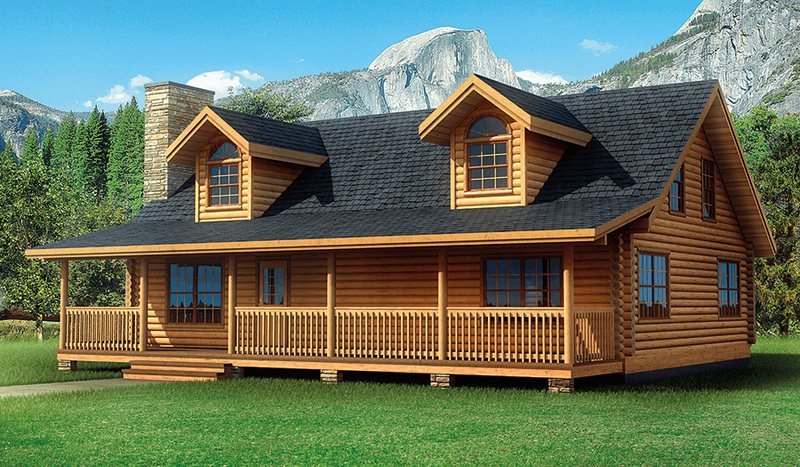 If you’re looking for an affordable, 4-bedroom log home in the 2,000 sq.ft. range, look no further than the beautiful Laurelwood. The practical, efficient design provides a lot of living space for the money while still incorporating sizable bedrooms. 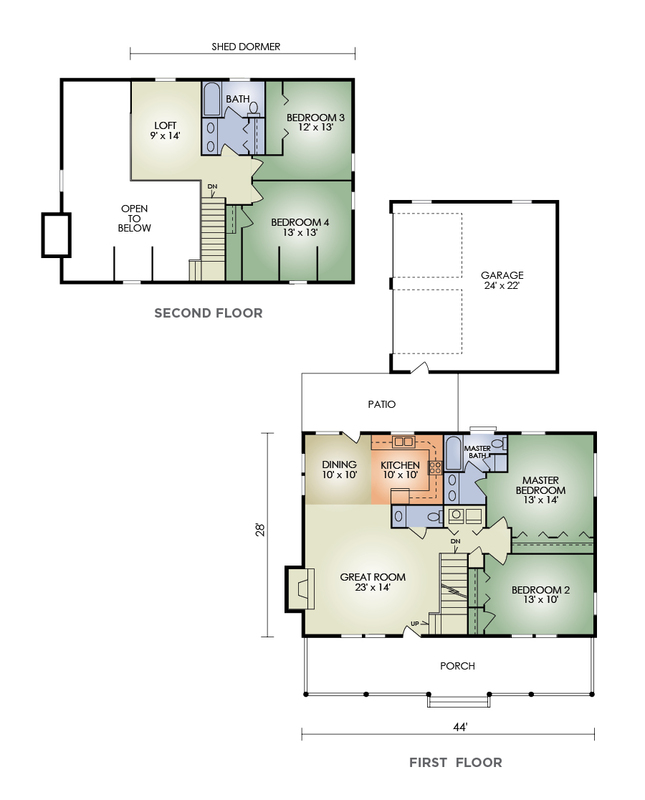 The first floor includes the master bedroom with a large wall-length closet and bath with separate dressing area plus a second adjoining bedroom, perfect for a nursery. The second floor has two additional bedrooms with separate lavatory and bath. In addition, the open loft provides a nice view of the dining area and great room downstairs.